Two Norwegian plaques - 5¾" (146 mm) high. 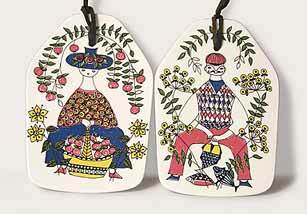 These were made by Figgjo Flint of Norway. We don't know much about the company, but understand its goods were popular in the 1960s.